In May 2006, Purdue University officials announced plans for a new technology park and expanded academic programming in New Albany. The 44-acre Purdue Research Park of Southeast Indiana in New Albany (download our brochure) is located on Indiana S.R. 311 (Charlestown Rd.) adjacent to I-265 on prime land donated by the Shine family, founders and owners of electronic interconnect manufacturer Samtec Inc. 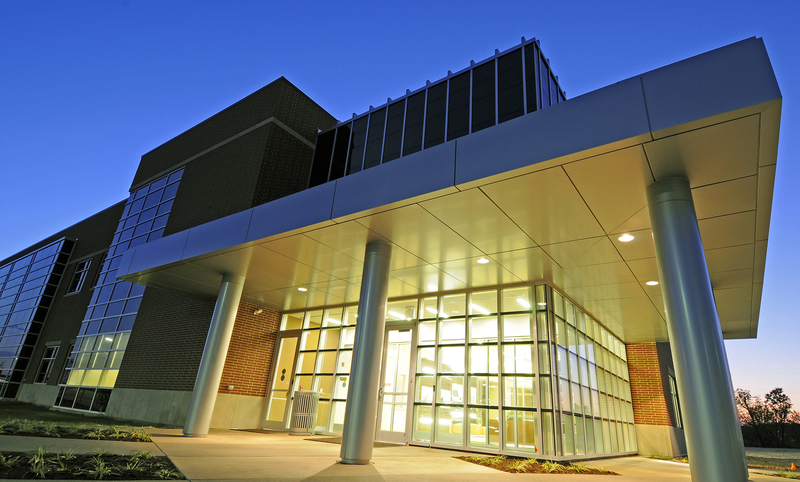 This park's flagship incubator, the 44,000-square-foot Purdue Technology Center of Southeast Indiana, opened in the fall of 2008. The center contains 18,000 square feet of business incubator offices, which connects companies with Purdue resources and assists them in implementing state-of-the art technologies. As they grow, the companies will have an opportunity to move into the adjacent technology park. Purdue Polytechnic New Albany uses the remaining space for classrooms, labs and faculty offices, and supports the college's multiple bachelor degree programs. For inquiries from technology-based companies regarding membership in the incubator building, please contact Mike Chappell, operations manager, at 812-206-8397. For questions concerning academic programming, please contact Andrew Takami, director for Purdue Polytechnic New Albany, at 812-590-9185. Our mixed-use business and technology park under development by Purdue Research Foundation offers commercial lots available for purchase or land lease by high-tech firms. Contact Mike Chappell, operations manager, at 812-206-8397 for a site rendering.